A selection of Remove Before Flight/Warning flags in different dimension and typology (in decals). A 60cm piece of 0,05mm ultrafine metal wire is included. A selection of Remove Before Flight/Warning flags in different dimension and typology. This flags are used by all the NATO operators and include also the British type. 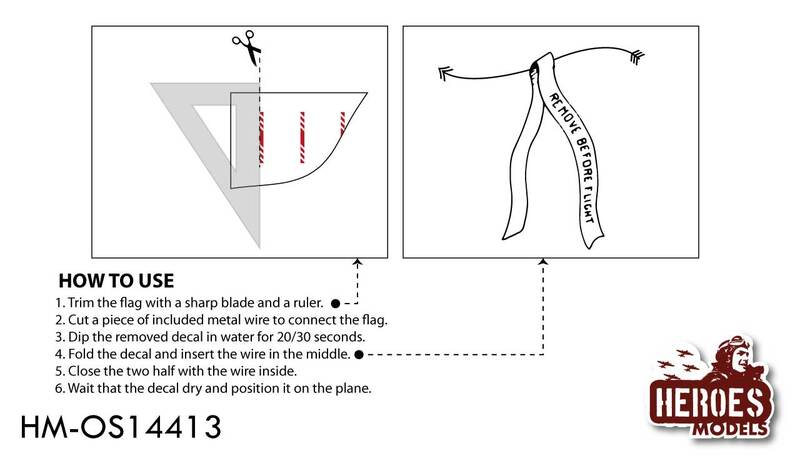 A 60cm piece of 0,05mm ultrafine metal wire is included, to position the flags on your models.